Excitement about the Marvel Cinematic Universe epic Avengers: Infinity War was palpable at a preview screening I attended at the El Capitan Theatre on Hollywood Boulevard with managing editor Jon Witmer, associate editor Andrew Fish, our friend Jon Steely and my 12-year-old son Nicholas. The vibe reminded me of the electric atmosphere I experienced during my own moviegoing youth as I waited in theater-circling lines to see a pair of films that helped define the very phrase “summer blockbuster”: Star Wars and Raiders of the Lost Ark. 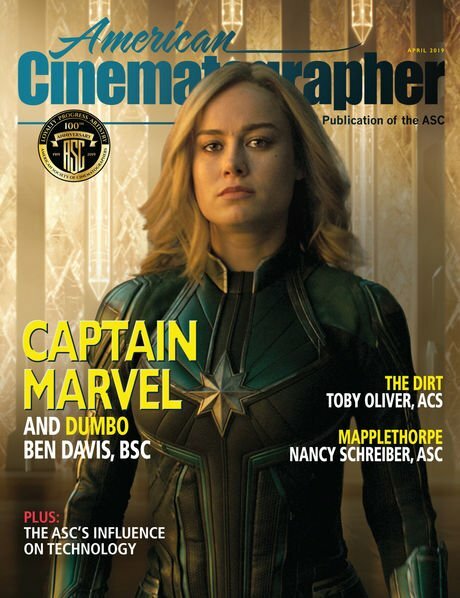 “Listening to the highly informed, amped-up chatter of everyone around us made it clear that Marvel’s superhero movies have become communal touchstones for a new generation of viewers who can recite the comic-book lineage of every character and who eagerly await the post-credits bonus scenes. As we took in the grand sci-fi spectacle, loud gasps, shocked exclamations and even a few sobs punctuated key plot twists — a sure sign of intense audience engagement. 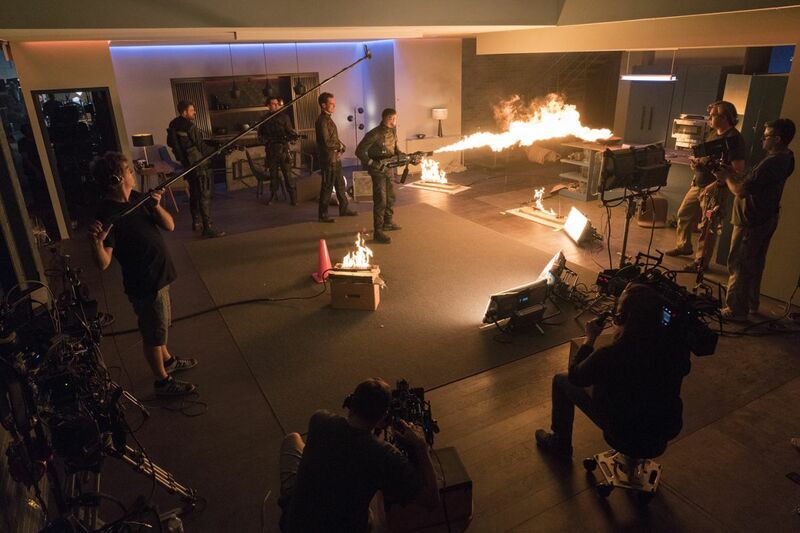 Cinematographer Trent Opaloch (far right), co-director Joe Russo (second from right) and actor Robert Downey Jr. (portraying Iron Man) confer on a battle-ravaged set. My posse was thoroughly impressed by the amazing production values brought to the show by cinematographer Trent Opaloch and co-directors Anthony and Joe Russo, who are currently shooting the second half of the two-part Infinity Wars aga. Make no mistake: these movies are massive — eye-popping, galaxy-hopping adventures stuffed with top stars and stellar visual effects. Morgenthau opted to work with Panavision’s VariCam 35, setting the camera for 3,200 ISO to make the most of low-light scenarios. South London is the setting for How to Talk to Girls at Parties, which cinematographer Frankie DeMarco shot in “digital Super 35 and a digital Super 16 extraction” for director John Cameron Mitchell’s story about an alien (Elle Fanning) who befriends an alienated punk rocker (Alex Sharp). Iain Marcks extracted all the details in a Q&A with DeMarco. 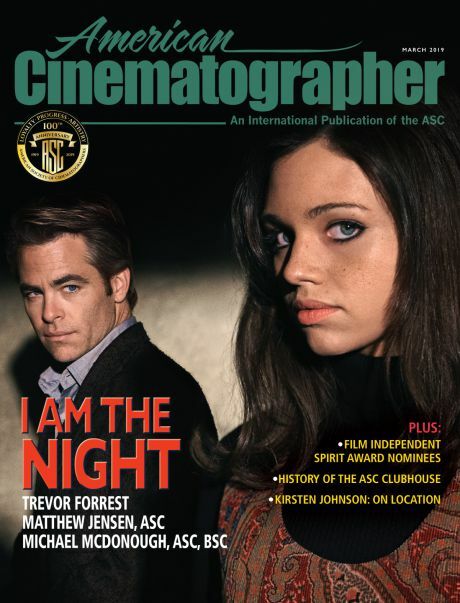 Look for the print and digital editions of the June issue to arrive soon. 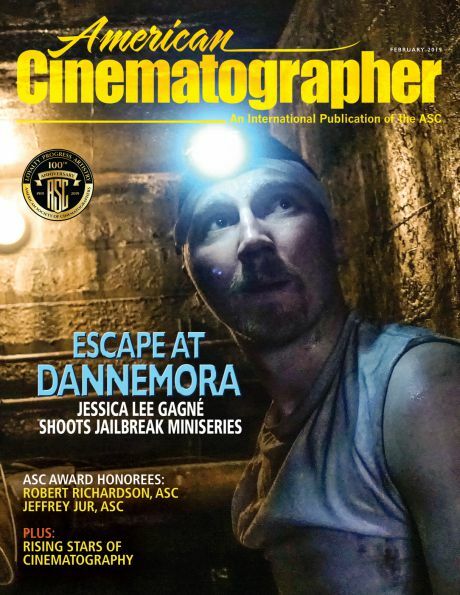 You can subscribe to the print and digital editions of American Cinematographer here.